3D Printing Kit is the incubator of uArm for your creative ideas. 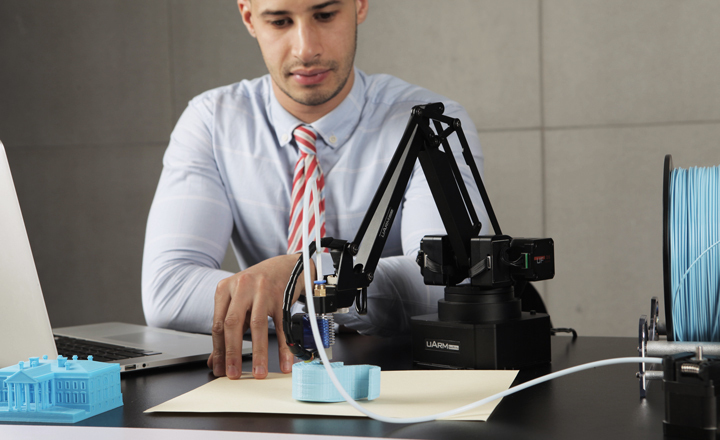 Cut your expenses on a 3D Printer, you can simply use the 3D Printing Kit as an end-actuator for your uArm. With the open-source hardware, the setup is significantly faster. It’s a perfect tool to develop your spatial intelligence. Utilizing this 3D printing kit as an end-actuator for the uArm, you can create your 3D printer without purchase a 3D printer. With a 0.2mm nozzle, it meets your basic requirements of rapid prototyping, no expensive 3D printer anymore. Let’s get creative! 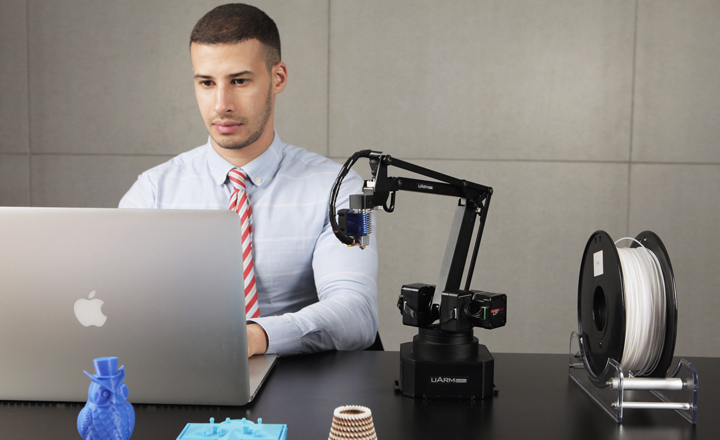 With the uArm 3D printing kit, there are no projects too complex. Using 1.75mm PLA materials, this kit can manifest all your ideas. Even the intricate shapes can be printed with the uArm. Just focus on creating leave the building to us. 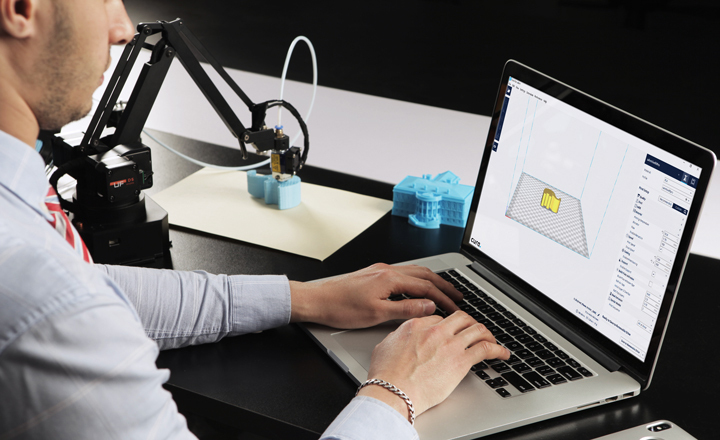 It supports the CURA tool to print out your projects. Simply drag your designs into the uArm studio and start printing right away. It also serve as a good opportunity to learn spatial dimension skills to create better architecturally designed structures. Let’s get creative! 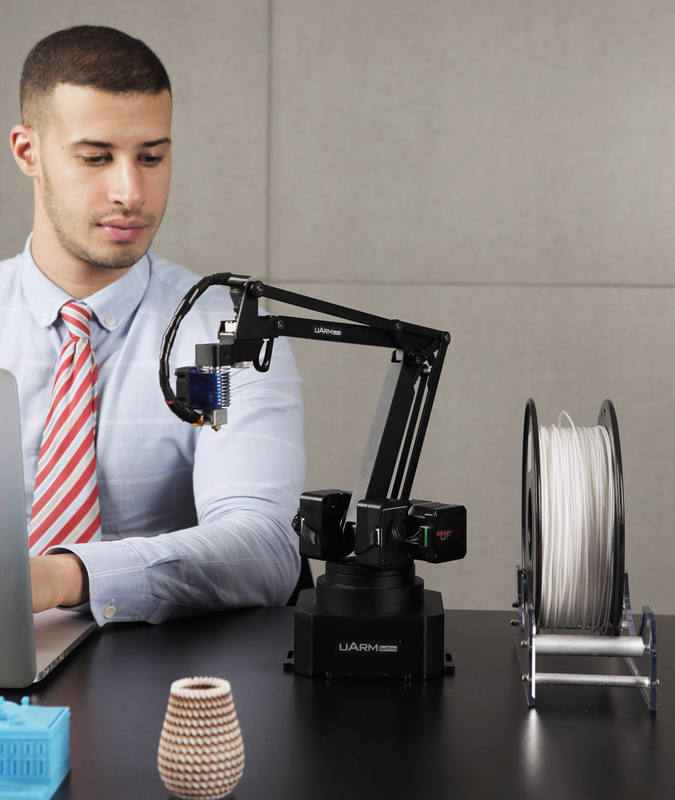 With the uArm 3D printing kit, there are no projects too complex. Using 1.75mm PLA materials, this kit can manifest all your ideas. Even the most intricate shapes can be printed with the uArm. Just focus on creating leave the building to us.